Durga Puja festival celebrates the unfathomable power of divine Goddess Durga. It is celebrated as a tribute to her victory over the evil demon Mahishasura, Triumph of good over evil is the essence of the festival. Celebrated during all days of Navratri , Durga Puja festivities is an ode to Maa Durga who represents morality ,power, strength and Shakti. She is the divine mother, who protects people from evil forces of jealousy, hatred, anger and ego. 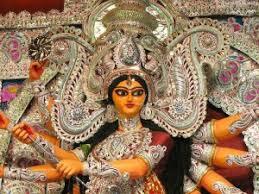 The Durga Puja festival is an extremely social event and is celebrated with fanfare, enthusiasm and belief. Festivities include traditional customs, dance, dramas and cultural performances. Food is a huge part of the festival, and street stalls and pandal hopping is part of the cultural fabric. 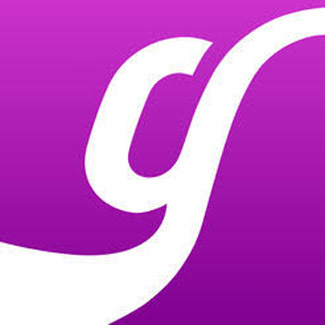 It is one of the biggest festivals of the Indian Subcontinent. And in case you are missing the reverberating rhythm of the dhol and the buzz of the festival, we bring to you top places to go for Durga Puja events near Jersey city. 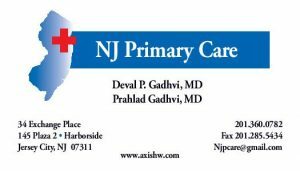 The garden state Pooja committee is a registered non profit organization celebrating their 37th Durga Utsav 2018 on October 20th and 21st. The event details are promising and enticing with live musical events by artists of critical acclaim. Along with musical evenings the event details on both days has Puja, Pushpanjali, bhog , dinner along with Sindur Khela on day 2 . Mouthwatering Kolkata street food is also available on site that is sure to tantalize every taste bud! 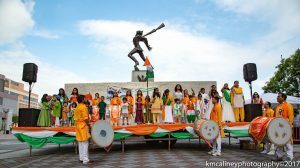 Enjoy here if you are looking for Durga puja events near Jersey city. 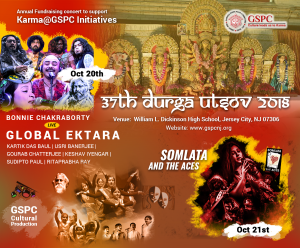 Garden state cultural association: If you are looking for Durga Puja 2018 events near Jersey City, the 27th year of Durga Puja celebration from Garden state cultural association is a great place to enjoy and participate in the festivities. This year the Festivities include Puja, bhog, Anjali, entertainment, options to shop at various stalls, a sumptuous dinner menu, and many cultural performances throughout the two days. Both days include eminent artists such as Jeet Ganguly ( Filmfare, IIFA, Zee cine winner) along with Subhashree Debnath followed by Debojit Saha and Sohini Mukhirjee. The live performances are sure to bring in a melodious evening. Registration can be done online as well as at the gate. 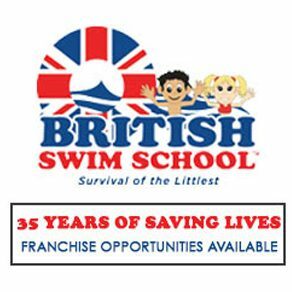 Online discounts till 10th October. Ananda Mandir’s mission is to preserve and foster religious and socio cultural activities of the Bengali community in the Tri state area. Through their mission this place is a confluence of the community – a home away from home. Ananda Mandir is celebrating Durga Puja starting from Mahalaya on 7th October and the celebrations continue till Dashomi on 19th October. Each day is marked with Puja and followed by the traditional rituals of the day, Pushpanjali, Sindur Khela, Sondhi Puja and dinner. On 19th a musical evening Somlata and the aces will round up the festivities. The events adhere to the Bengali calendar and will be attended by close to 1000 people. 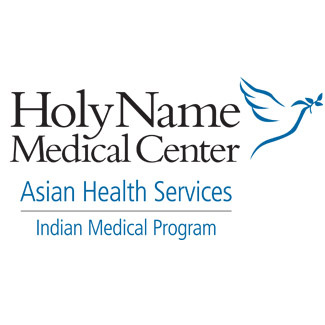 Kallol of NJ was founded in 1975 to foster Bengali and Indian cultural heritage in USA. 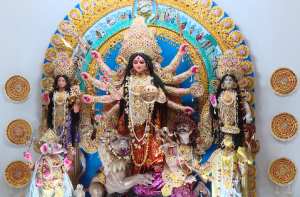 This year Durga Puja celebrations will be conducted in traditional glory coupled with festivities, fun and food on each day .The event includes game truck, plays , mela and on stage performance by kids . The cultural performance is the highlight strewn with stars such as Abhijeet,Arko Mukherjee and Subhamita Banerjee. Head here if you are looking for Durga Puja events near Jersey City. Utsav is a prominent and celebrated name in the community and the festival schedule is something to look forward to. 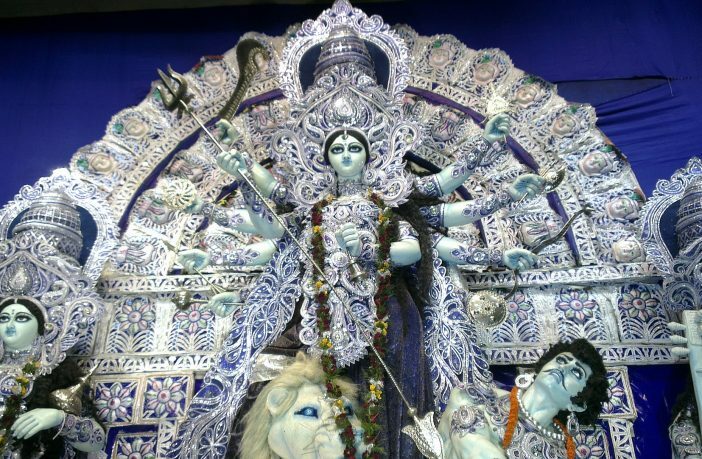 The Durga puja will be celebrated on 20th and 21st October with fanfare. 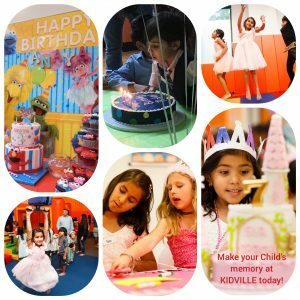 For children there is an art competition, talent show along with activities for adults such as conch shell blowing contest. Relish the lip smacking authentic Bengali cuisine and enjoy the plethora of shopping stalls. Music performance by Suday Sarkar and Mekhla Dasgupta with live band Friendzband. Don’t miss Utsav Inc Festivities if you are looking for Durga Puja events near Jersey City. Even though its not in New Jersey, this list for Durga puja events near Jersey City would not be complete without our last entry. 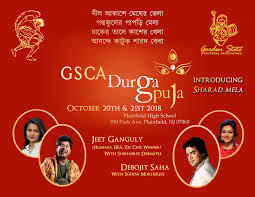 The East coast Durga puja association is one of the oldest Bengali association in North America . Founded in 1970, the association is in its 49th year celebration of the Puja. 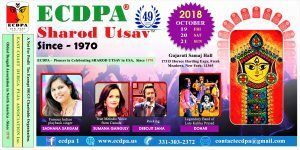 Known for one of the best place to celebrate Durga Puja events, ECDPA Sharod Utsav has an eventful schedule of cultural programs. This includes Kids talent show, Enthnic wear fashion show but more importantly a musical stage performance and concerts by Sadhna Sargam , Debojit Saha and Sumana Ganguly. Chose any of these places for Durga Puja events near Jersey City and enjoy the festivities, the reverberating rhythm and the echo of the dhol. 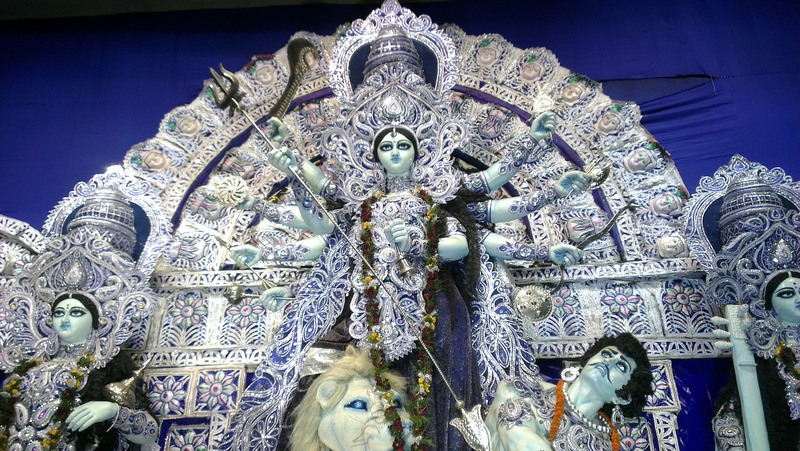 Celebrate Durga Puja at these places and enjoy the culture, traditions ,puja and the galore of festivities.